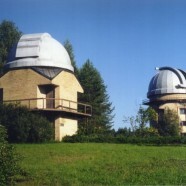 Co-organised by the Nordic Network of Astrobiology, the Erasmus+ Strategic Partnership “European Astrobiology Campus” and the EU COST Action “Origins and Evolution of Life on Earth and in the Universe“, the Summer school “Formation and evolution of planetary systems and habitable planets”, will take place in Moletai, Lithuania (close to Vilnius) from 21 to 30 August 2015. Bursaries are available for around 32 Ph. D. students and early career scientists (up to 8 years after their first Ph. D.) based in many countries taking part in the EU COST Action TD1308 (This include most European states). This covers meals and accommodation and includes a travel allowance. Deadline for application is 15 June 2015.